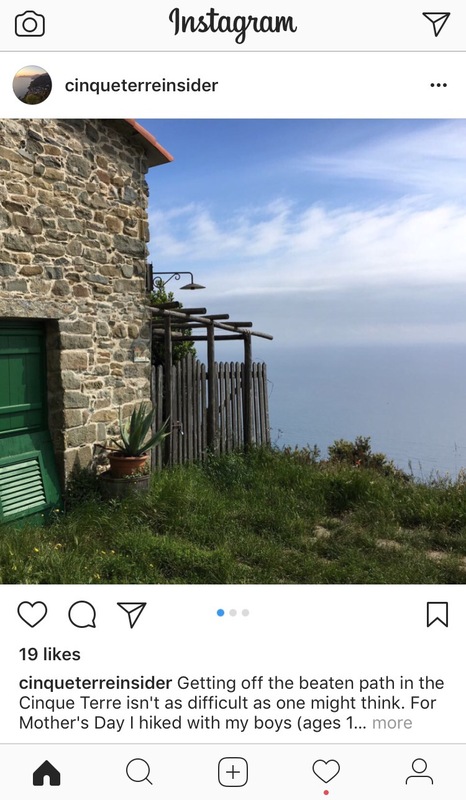 I’ve been on Instagram for a while with a work account (@riomaggiorereservations) but I just recently opened a new account for Cinque Terre Insider (@cinqueterreinsider). I love that I can make this account more personable and narrative (versus a more professional approach on the work account). I’m including tips & advice so be sure to check it out! I am considering backpacking across Cinque Terre with my partner during the first week of August (Tuesday to Friday). At first I was quite enthusiastic, but I have started reading many articles that recommend avoiding Cinque Terre at all costs due to the very high tourism traffic, especially during the peak-season when we would be there. However, we were thinking of doing most of our hiking, beaching, and visiting during the early mornings (i.e., get started at 6am) and taking relaxed siestas in the afternoon (like 12-4), followed by evening festivities. We plan on hiking between villages without touching the trains (we are young and in good physical shape, we already walk on average about 3km a day just living in our city) and keeping our stuff in a central hostel in say Corniglia. What do you think of this plan? Will we still be overwhelmed by tourists, or since most of them are day-trippers we probably won’t see them? Part of my hope is that since we will be there during only weekdays that there will be fewer tourists, but I’m not sure how much fewer. Don’t sweat it, based on what you’ve told me you will hardly be affected by the crowds. August has always been the month for Italians to come on holiday. They tend to stay longer, hike less (August is a hot month so not ideal for hiking unless you’re up early as you mentioned), and beach more (Monterosso, in particular). The source of the problem with the crowding in the Cinque Terre = the day trippers (and more specifically, the large tour groups). As they have very limited time to spend here the congestion is primarily on the trains and main streets during prime-time. By late afternoon/early evening they have already cleared out. Also, keep in mind that the coastal trail hikes will be busier than the secondary trails. I hiked to Portovenere from Riomaggiore last week and encountered just FOUR other hikers the entire way! Previous Previous post: What’s the Cinque Terre Express?